This sorting activity and accompanying worksheet is great for multiple grade levels and contexts. 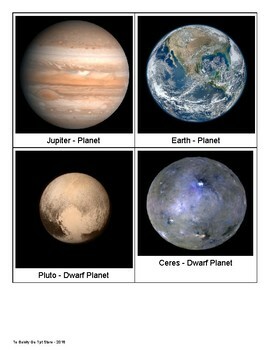 It can be used to start a unit about space, it could be used to talk about categorization and attributes, it could be used as a jumping off point for research projects. 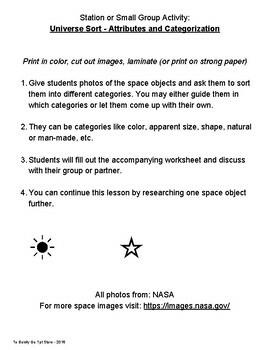 Students use the printed images to sort space objects (planets, satellites, nebula, galaxies, stars, etc.) 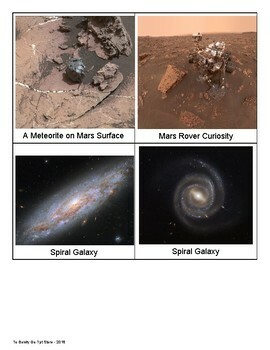 into categories of their choice. Then they complete a worksheet about how they sorted and what they noticed about the photos and objects. 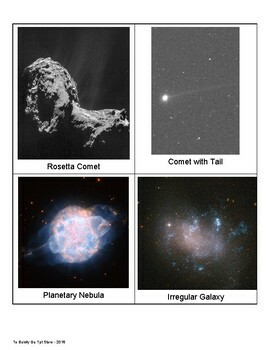 I have done this lesson with 1st-4th graders and they love to ask questions and learn about new space objects.